Buy M.A.S.S. Builder equine supplement for less! 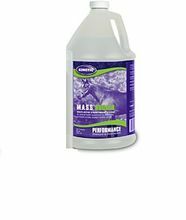 MASS Builder Equine Supplement 32oz. What is Kinetic M.A.S.S. Builder? MASS Builder is a horse supplement veterinarians trust to encourage optimal weight and muscle development. Who is M.A.S.S. Builder for? What does M.A.S.S. Builder do? MASS Builder concentrates on supporting muscle development to help your horse stay strong and healthy. A strong horse is better prepared to fight infection and bounce back from injuries. Take the time to boost your horse’s immune system with MASS Builder. How does M.A.S.S. Builder work? In each one fluid ounce, MASS Builder contains 2000 milligrams of L-lysine, 1500 milligrams of gamma oryzanol, 1000 milligrams of threonine and 20 micrograms of fenugreek. L-lysine is a limiting amino acid that encourages overall growth and weight gain. Gamma oryzanol is packed with nutrients that will benefit many of your horse’s vital organs. Threonine and fenugreek combine to help with digestion and increase weight gain. The four active ingredients in M.A.S.S. Builder have been carefully chosen to safely and naturally aid in your horse’s weight gain. Increase muscle size and strength without the use of harmful steroids by adding M.A.S.S. Builder to your care routine. How much M.A.S.S. Builder will I receive? MASS Builder comes in a 32oz container.